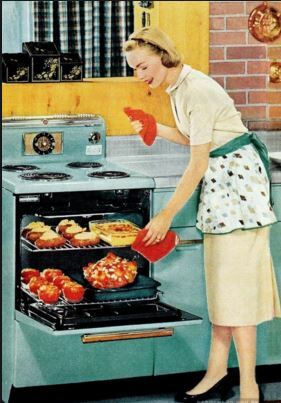 "If cooking is the laid back friend who goes with the flow, then baking is the perfectly manicured friend with a color-coordinated closet with matching accessories and shoes." I am most definitely the throw anything in a pot, laid back cook as opposed to the precise baker. In fact right now, throughout all of this baking I have only had a 1 cup and ½ cup measuring cups and a 1 tsp and ¼ teaspoon for the smaller measurements. I just guess how much a 1/3 or 1/4 cup is and go with it! I know, I know, I am definitely making some of you cringe right now. I get it. It worked ok for me most of the time. It was only when I read a little article posted by the author of one of the recipes I was making where she talked about how to properly measure flour that I really and truly understood that I could no longer guesstimate if I am going to continue to try and become a better baker-mostly for my sweet daughter's sake. I can't wait to see if my baked goods really do turn out better because of proper measurements. Now the best way to measure dry ingredients is with a scale, but if you don't have a scale, here is a pretty accurate measurement without the use of a scale. Use a spoon to fluff up the flour within the container. Use your spoon to scoop enough flour so that the measuring cup is heaping. Use a straight edge, such as the back of a butter knife, to scrape off the excess flour. The measuring cup should now be filled with the right amount of flour. Continue measuring flour until you have enough for whatever recipe you are making. Baking soda and baking powder perform different functions in a recipe, but they can be measured the same way. As with flour, fluff these ingredients first to incorporate air and get an accurate measurement. To do so, stir the contents of the container first, then lightly scoop with a measuring spoon. Use a flat utensil to scrape off any excess from the top of the spoon back into the container. Measure sugar by using the measuring spoon or cup to scoop it directly out of the storage container or bag until it is overflowing. Level off the top by sliding the back of a knife over the rim of the cup. Brown sugar is essentially white sugar with the addition of molasses. It is thus a more moist, dense sugar. To measure brown sugar, pack it down into the cup or measuring utensil. This can be done by using the cup to scoop the sugar out of the container, then patting it down with your fingers. The goal is for the sugar to retain the shape of the measuring cup when added to the other ingredients. Powdered sugar is very fine, and as such is prone to clumping if exposed to moisture. Sift the powdered sugar to strain out the smallest particles for the recipe, then spoon the sifted sugar into the measuring cup. Then use the back of a knife to level off the measuring cup to achieve an accurate amount. Just to really show you the difference I wanted to share what this woman from mybakingaddiction.com shared about the difference between measuring the wrong and the right way. She decided to conduct a little kitchen experiment and measured a cup of all-purpose flour two ways. Pretty big difference, right? Especially when it comes to baking. Because just a couple extra ounces of flour can really change the texture of a baked good. The important thing to remember is that, much like brown sugar, flour packs. Scooping the ingredient with your measuring instrument will cause packing. Packing flour can add up quickly. If you have a recipe with 3 cups of flour, and you scoop using your measuring up, you'd end up with 18 oz of flour, when in reality you should have 12.75 oz of flour. That's nearly an extra 3/4 cup of flour in your recipe! That can dramatically change the results you get from a finished baked good. Yikes! I need to start doing this like yesterday! I hope this helped some of you. Most of you are probably expert bakers and this is Baking 101 and you probably can't believe I didn't know this until now but it is sadly true, I didn't! Have you been doing this right your whole life? Have a truly noticed a difference when measuring the right way? I'd love to know in the comments below!